A private charter offers an exclusive, personalised trip around the Whitsundays - perfect for families, groups of friends, and corporate events alike! Most private day charters include food, courtesy transfers, snorkelling gear and instruction as well as any additional onboard activities. Rent your own private baby tall ship for your upcoming event! Ideal for weddings, parties, or any event you can think of! Choose from several types of tours for your needs! Ideal for all types of groups including birthdays, team-building, family outings and more! 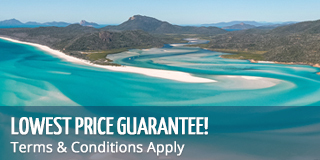 Visit Whitehaven Beach, Hill Inlet Lookout, go snorkelling and use Bullet's stand-up paddleboards! This tour has it all! Every passenger has a window seat for best experience!